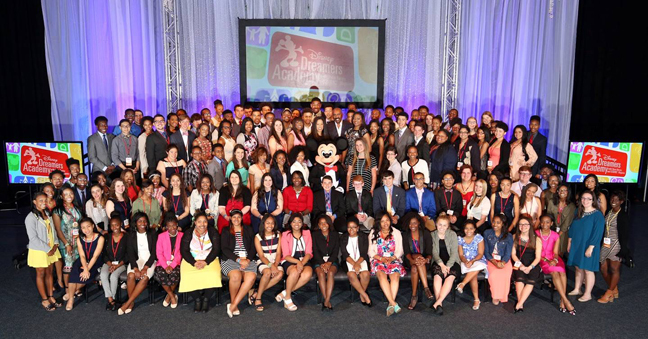 Walt Disney World Resort concluded its ninth-annual Disney Dreamers Academy with Steve Harvey and ESSENCE Magazine, a four-day, once-in-a-lifetime educational and mentoring program for a select group of high school students. The students – identified as “Dreamers”– were selected from thousands of applicants nationwide and are now among only 900 students to hold the honor. The program featured an exclusive weekend of dreaming big, discovering possibilities and preparing for the future. Along with a parent or guardian, each teen received an all-expense-paid trip to Walt Disney World Resort, where they learned important networking skills, participated in hands-on career workshops and created fun memories to cherish for a lifetime. Students were also motivated and inspired with presentations from noted professionals and celebrities, including: Steve Harvey, Film Producer Will Packer, Actress Tamera Mowery and Bledsoe Technologies’ 17-year-old CEO, Jaylen Bledsoe.